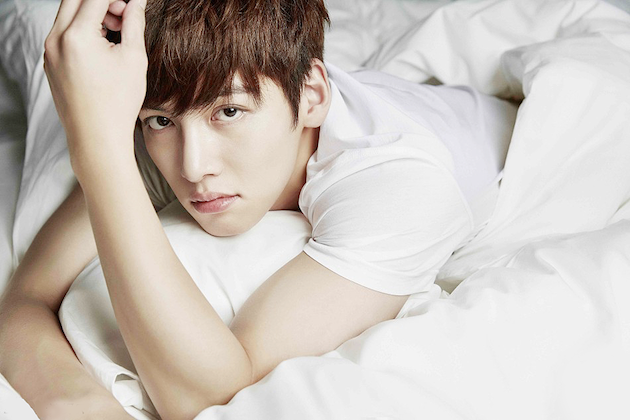 Oh Ji Chang Wook, I most definitely haven't forgotten about you despite my recent fascination with Descendants of the Sun and the SongSong couple. It's just that there hasn't been much news since you've been busy working on back to back acting projects in China. 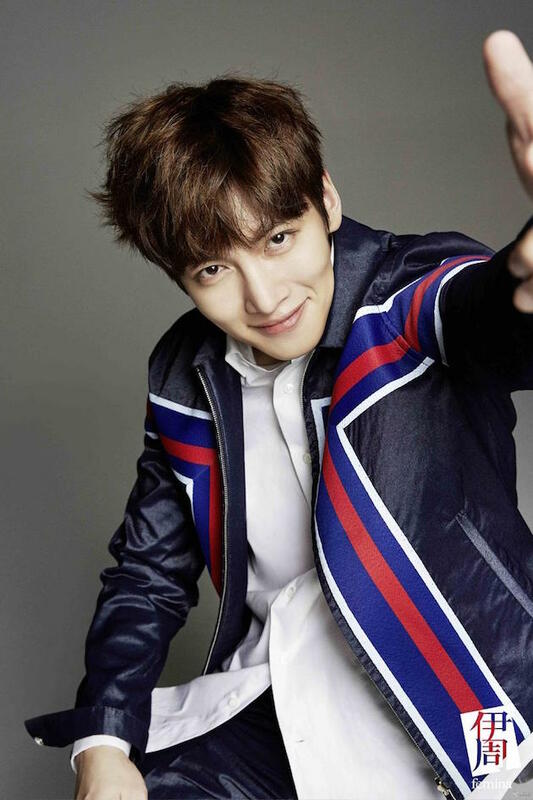 To think that just over a year ago I was spazzing over you in The Healer which was my favorite Korean drama of 2015. Anyway I just found these photos from when you appeared in the Chinese publication Yi Zhou Femina and you are looking incredibly handsome all suited up in Jil Sander with that plate of spaghetti! 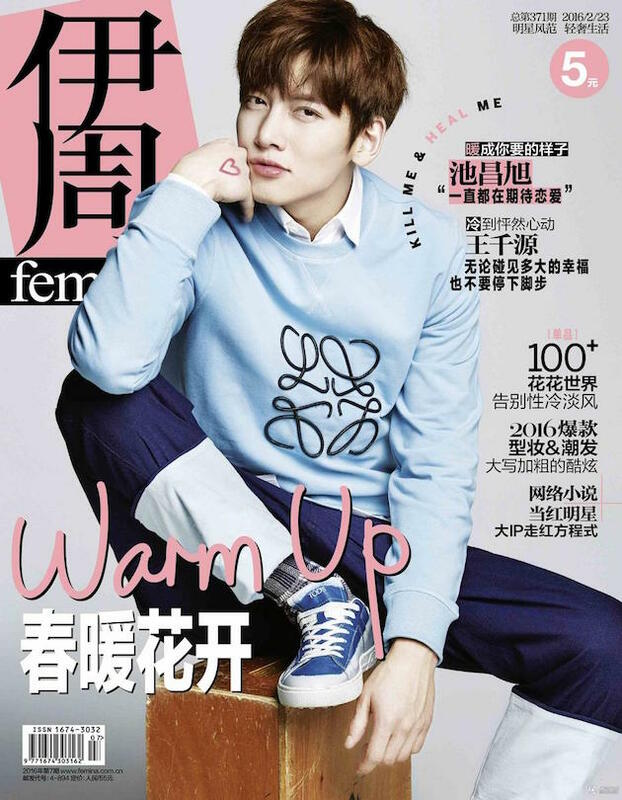 The entire editorial spread is a little disjointed but your boyish appeal is totally radiating off that cover. I couldn't help but notice a few similarities between this photoshoot and the Harper's Bazaar pictorial with Song Joong Ki specifically the pics in bed and the fact that they're both wearing the same graphic Louis Vuitton jacket. 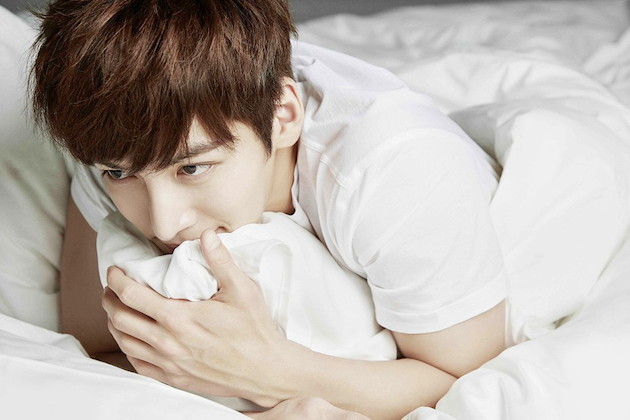 Chang Wook gets the edge for the shots in bed because he looks so alluring first with that gaze and then with that winsome smile. But Joong Ki wins for the Louis Vuitton jacket because I liked his pose and hair more. Note to stylist: hair off face > man bangs. What do you think? I shared this video on my Facebook page awhile back but I wanted to share it here as well while I'm on the subject of Chang Wook because he absolutely killed it in this live New Year's eve performance of Fragrance (暗香) alongside Sha Baoliang. This is the theme song of the popular Chinese drama The Story of a Noble Family (金粉世家) and it's so good. I'm still blown away every time I watch this especially when he comes in on the first chorus. 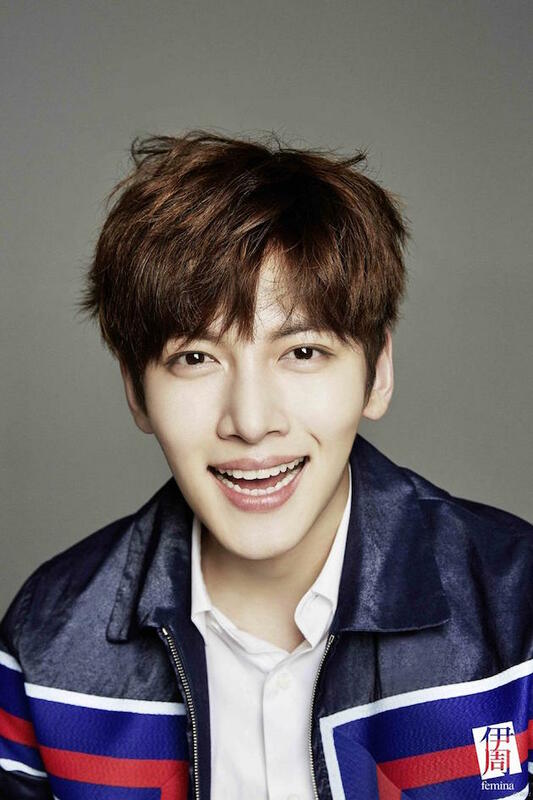 Chang Wook has such an amazing voice and to hear him singing in Mandarin just gives me the feels. 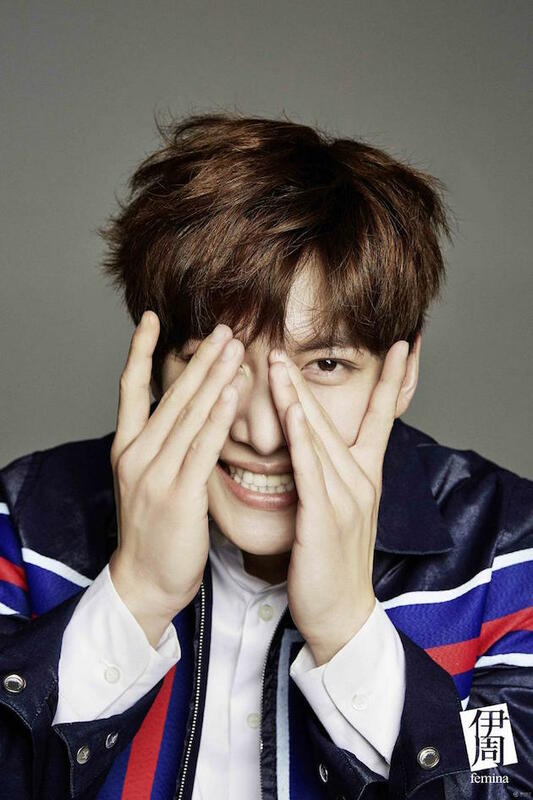 He will be making his return to the musical production, The Days in Korea later this year and I hope he gets in one more drama or movie before he has to enlist for his mandatory military service. He's the best!!! Love his hair colour. Thanks for sharing the pics :) The first pic is my favourite! Even though I am not that into this type of man I appreciate the aesthetic of the pictures. They are all photographed in a soft and dreamy way, even if he is wearing a motor jacket. That first picture is so random, haha, but I do think he looks good. Cool editorial have a lovely weekend. such talent and eye candy! the total package! 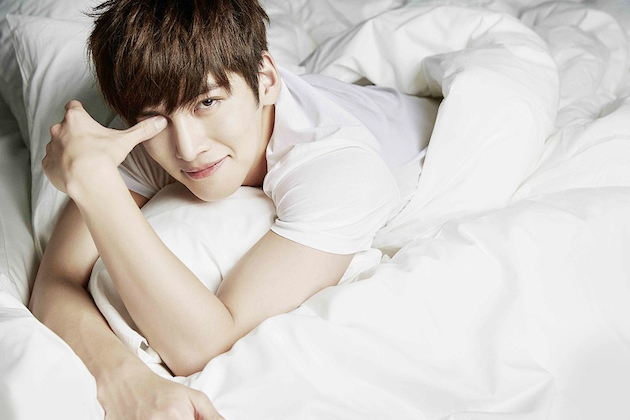 That pictures of him in the bed are so dreamy! Is it normal for Korean actors to work in China? Is it for Chinese show or Korean shows that are filming in China? And wouldn't language be a barrier? Haha a man off! I LOVE the cover of this magazine, what a fabulous job they did. These pictures are all so amazing! 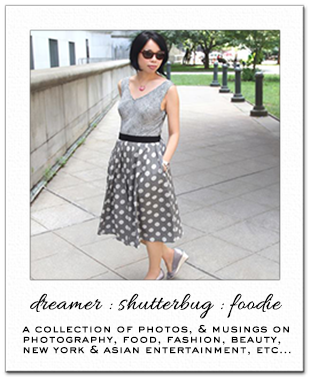 The first image shown is so stylish and very inspiring with regard to photography!! he is an eye candi alright! I do like this editorial even if I'm not a fan of man bangs and those in bed shots....still, on overalls it is a lovely editorial. He looks most handsome, especially in that suit. How cute is that first photo! My voice always goes for hair off face, I don't like this men bangs trend one bit. p.s. I've been meaning to watch Big Eyes movie...yes, I find her to be very fascinating too! Ahhh that suit in the first picture is amazing! Have not watched DOTS but after reading your post - perhaps I should watch!! Incredibly good looking indeed! I'm spazzing over him myself. LOL He does have a great voice Rowena. I certainly haven't forgotten about him either. He's definitely a looker and boy, can he sing! 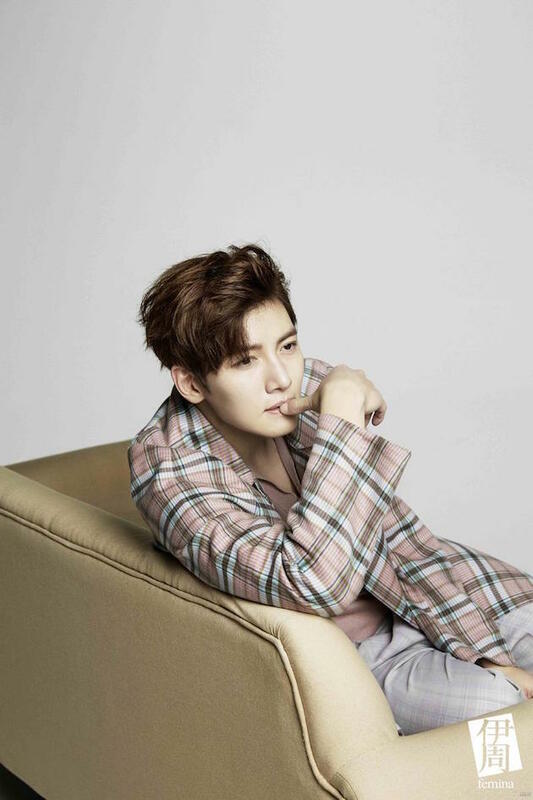 He is smart to learn to sing in Mandarin and also now shooting in China, that's a huge market there to conquer, which I believe he would have no problem doing so, huh? Too perfect this fella haha! Thanks for sharing, Rowena. Who wouldn't be smitten by that face, oh gosh! Hope you are having a great new week, my friend.